Now let me get to the most important part of this post. 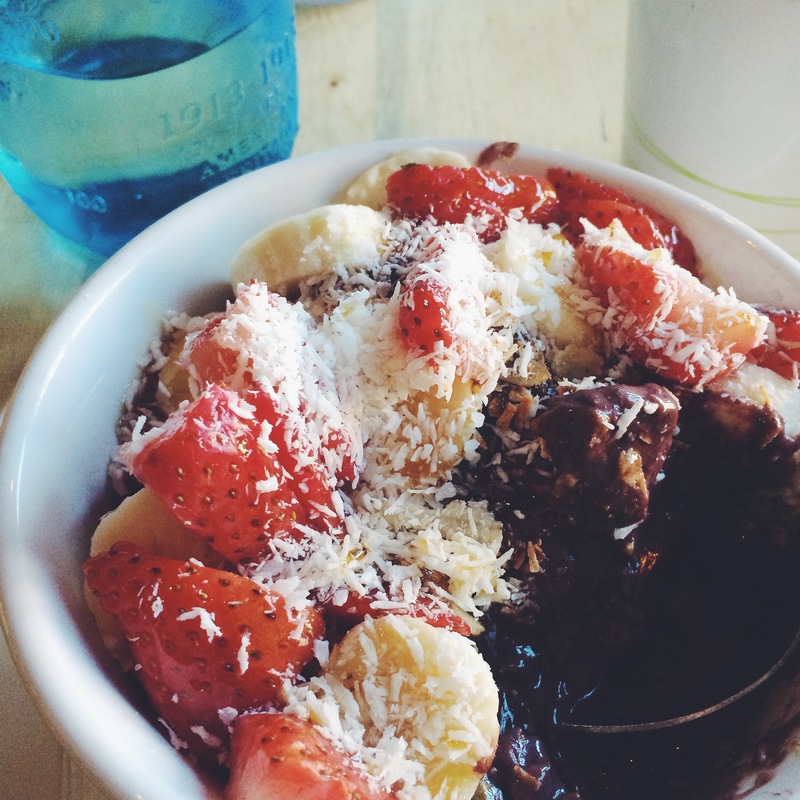 Açaí Bowls people!!! When I visited my best friend in California 2 years ago.. I had my first Açaí Bowl. Açaí palm is cultivated for its fruit and hearts of palm. It’s packed with vitamins, antioxidants and omega fatty acids.. and when blended, it’s used as a base for my absolute favorite breakfast, the Açaí Bowl. The Açaí blend itself has a deep berry/chocolatey flavor.. and can be topped with just about anything including fruits and granola and nuts and seeds. After my first one I was hooked. But, they are hard to come by on the East Coast. When I found Zeal, my prayers had been answered. Their menu boasts SIX different bowl varieties, with the option to add pretty much anything you want (ie mango, peanut butter, chia seeds). On this morning, I went with the Brazilian Bowl (small) ($8.50) : Topped with Zeal Granola, Bananas and Local Honey. I also added Berries ($1) and Coconut Shreds ($1). Ahhh I can’t believe how happy I am that I get to live in a place with Açaí Bowls. Gosh did this hit the spot. 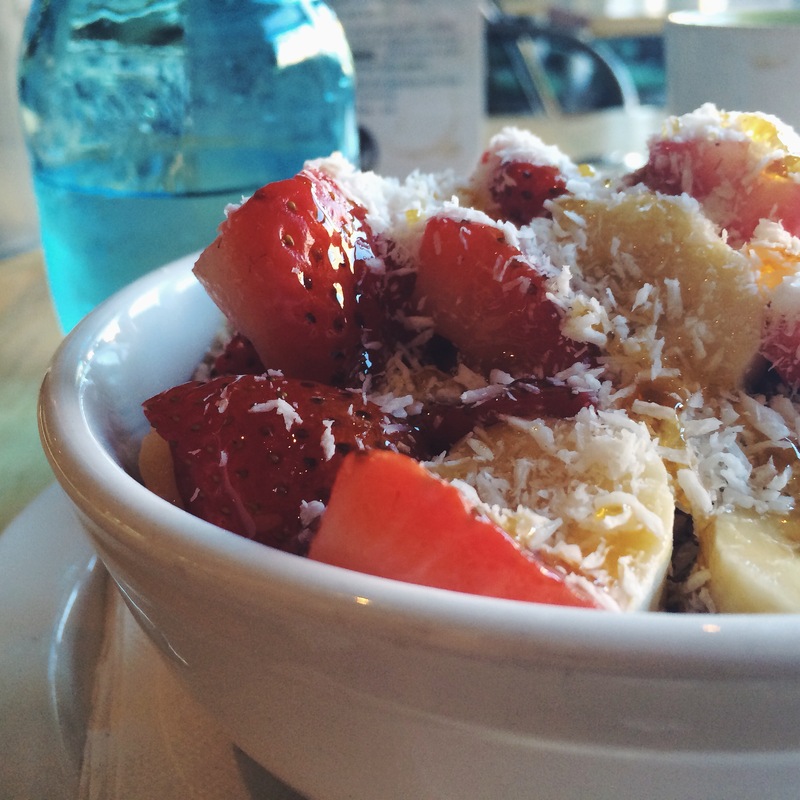 This bowl was refreshing, delicious, tart and fruity.. with a savory crunch of granola and coconut. 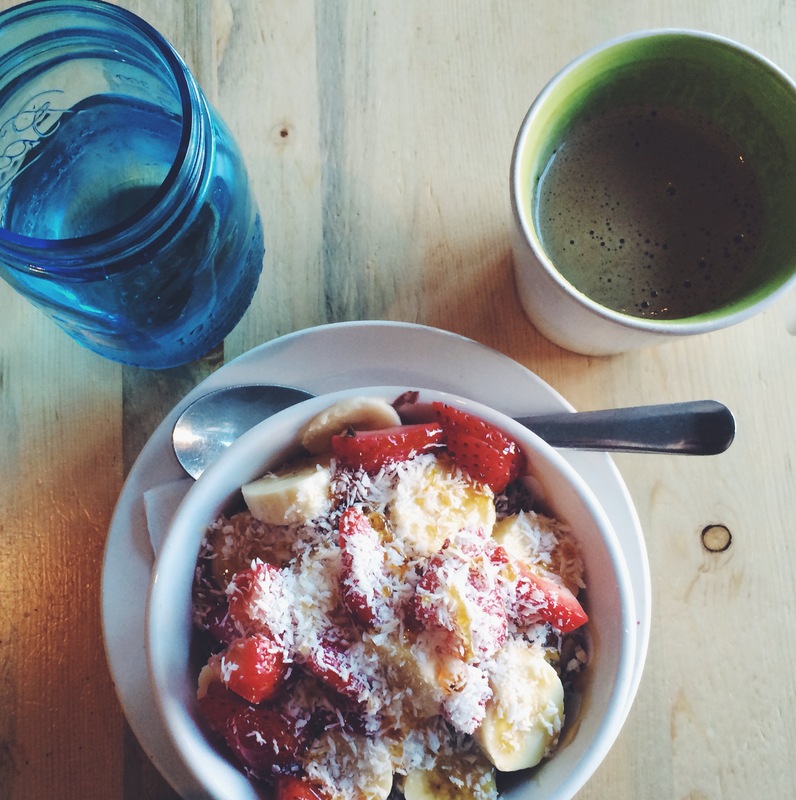 Although you can obviously eat an Açaí Bowl at any time of day – breakfast is my favorite. It’s nourishing and filling – and fuels you for your day. They are perfect!! To accompany my bowl, I needed some coffee. 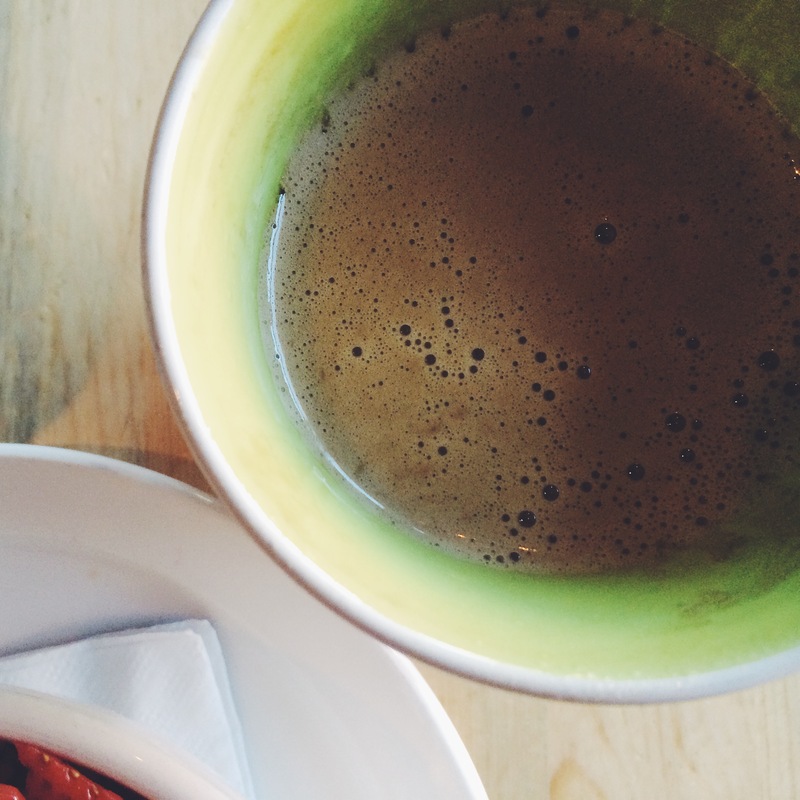 Zeal’s menu offered French Press, but their “Kickstarter Coffee” really caught my eye. Its description spanned almost half of the menu page, so I really needed to understand what was so special about this brew. The “Kickstarter” ($3.50) is a brew of roasted organic coffee beans, blended with coconut oil and butter? … What? Butter? Why? I read on… Zeal explains that this mixture is an ideal combination of short and long-term energy. After an overnight fast, this “Kickstarter Coffee” (I’m beginning to understand the name..) signals your body to go get energy from your fat. The butter “delivers vitamin K2, beneficial fatty acids, and omega 3s and beta carotene.” Coconut Oil has TONS of health benefits but overall it improves organ function, blood sugar control, complexion, and strengthens nails, teeth, and hair. I mean… If I can get all of that with one cup of coffee I’d be silly not to try it. What a lovely and unique surprise. This coffee was hot and smooth and so rich. It was unlike any beverage texture I’ve ever experienced.. It had a slight coconut flavor, but nothing too overpowering. I really really enjoyed it. After a delicious, calm and filling breakfast, I was ready to take on my day. I LOVED Zeal. (I’ve already been back two times =).) For a healthy meal that satisfies and delivers more health benefits you’re even aware of, you’ve GOT to try this place. Zeal offers breakfast, lunch, dinner AND dessert. ANDDDD they have a full menu of cocktails, craft beer and wine on tap! 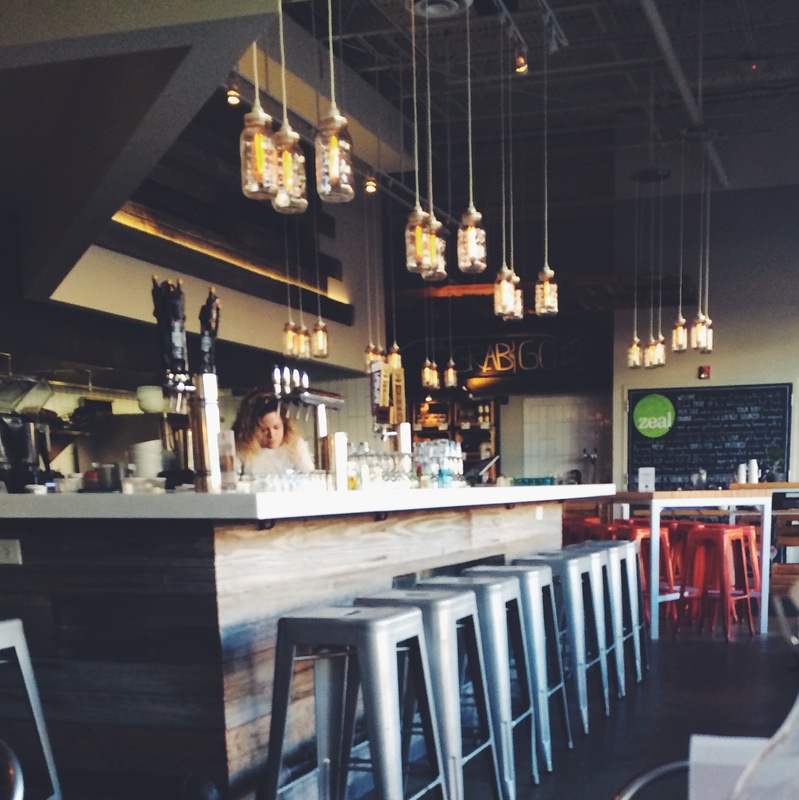 Their Happy Hour is 4-5:30, and features a menu of special priced small plates, drinks and juice shooters! Zeal partners with The Conscious Cleanse, which is built on the principle that food is about celebration, and not restriction. It’s about personal need and never guilt. The Conscious Cleanse logo can be found throughout the menu, and marks items approved for active cleansers. So inspiring. Their website and blog is full of interesting health facts, events, and profiles on the brains behind Zeal. Check it out! 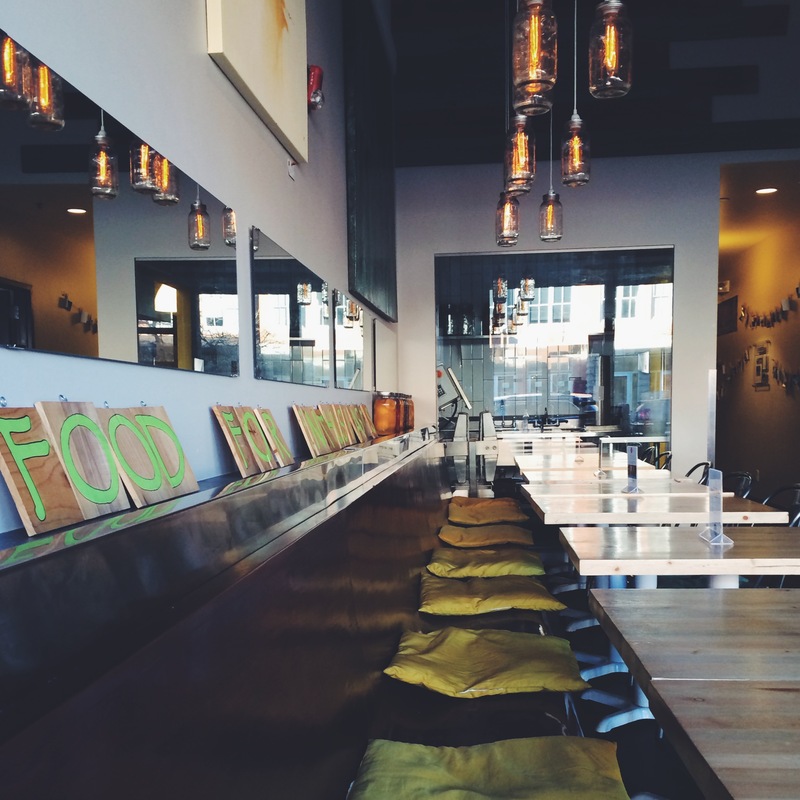 Zeal takes reservations for parties of 6 or more – just call or email!